Round Ireland Yacht Race. 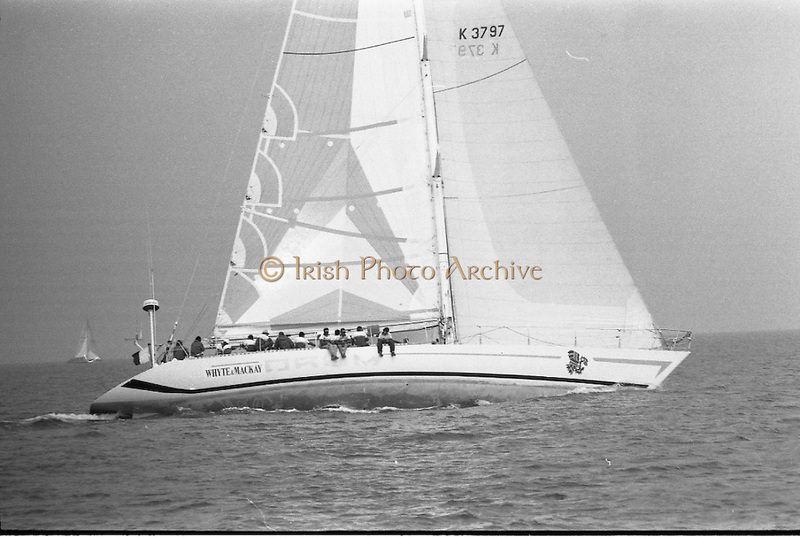 (R81)..1988..18.06.1988..06.18.1988..18th June 1988..The Round Ireland Yacht Race set sail from Wicklow today. Yachts from all over Europe took part in the start as the race got underway. The race is sponsored by Cork Dry Gin...Image shows race leader Whyte and Mackay Drum heading out into the open sea.